Chain (1) or more effects per loop. "Send" on the loop-Master connects to the "In" on your effect and "Receive" on the loop-Master connects to the "Out" on your effect. 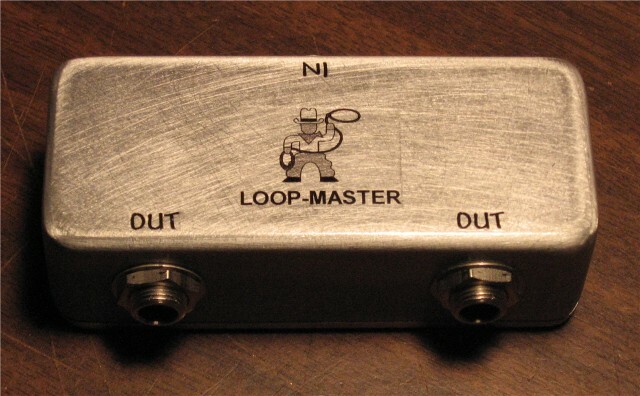 Leave the effect "on" at all times but turn it on and off via the loop-Master switch. If chaining multiple effects per loop, connect them all together using patch cABles and the input of the first effect in that chain will connect to the loop-Master "Send" and the output in the last effect in that chain will connect to the loop-Master "Receive". This will allow you to turn on multiple effects with one click. The upside to using an effect loop Switcher like this is just that, you can turn on/off multiple effects with one click. The downside to this is, is that each effect won't be assigned it's own switch so choose accordingly. We have many models. 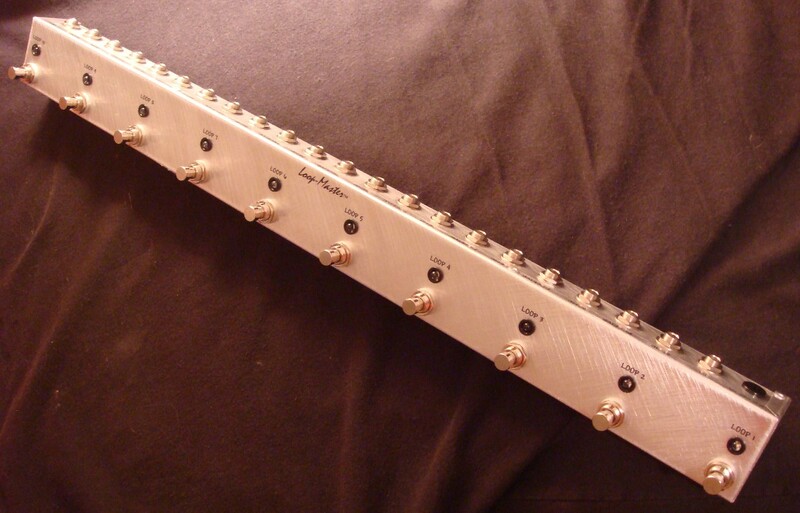 On models with the "Tuner" switch (*see models with the tuner out), plug your tuner into the "Tuner" jack and tune silently at anytime. On models with the "Bypass" switch (*see models with the master bypass switch), bypass all your loops with one switch no matter how many loops are on. This switch can also be used as a pre-select switch too. Turn the bypass "on" and turn the loop(s) of your choice on and then deselect the master bypass and boom!